ibis Wellington sits in a perfect central location, just minutes from the shops and bustle of Lambton Quay, close to Parliament, the TSB Arena, Westpac Stadium and the magnificent waterfront walk to Te Papa. 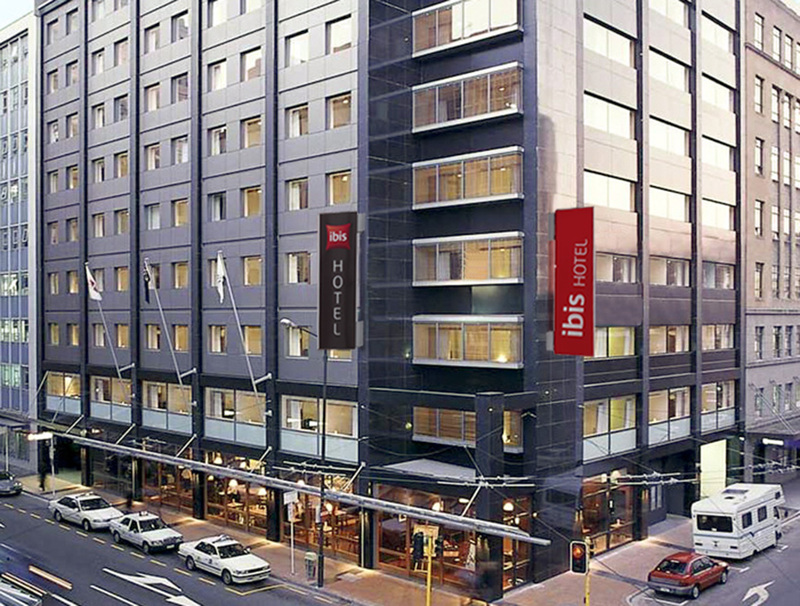 One of our most contemporary 3.5 star hotels, the ibis Wellington's quality has been recognised with international ISO 9001 certification and its environmental commitment with ISO 14001. The Ibis offers 200 fully refurbished rooms complete with modern technology and 26" LCD TVs. The ibis 15-minute guarantee assures you that your room will be in full working order and if not you receive the room for free. For in-hotel relaxation you have the stylish Vivant! Restaurant and Bar and lobby area. Parking is available at the hotel but it is limited so we recommend you book prior to arrival. We look forward to seeing you.